We slept 14 nights in a campground, 7 nights free camping (camping somewhere with permission), 7 nights with hosts, 1 night in an Airbnb, and 1 night in a hotel. 5026 food; 7180 lodging. Campground in Livingstonia. 10052 food; 7180 lodging. Campground in Livingstonia. 6103 food. Campground in Livingstonia (kindly comped by the owner in exchange for a little bike help). 5385 food; 1100 admission to waterfall. Campground in Livingstonia (kindly comped by the owner in exchange for a little bike help). 19386 food; 7180 lodging. Campground in Livingstonia. 3106 food. Free camping en route to Songwe. 10390 food; 3590 lodging; 720 toilet use fee. Campground en route to Tukuyu. ENTERED TANZANIA. 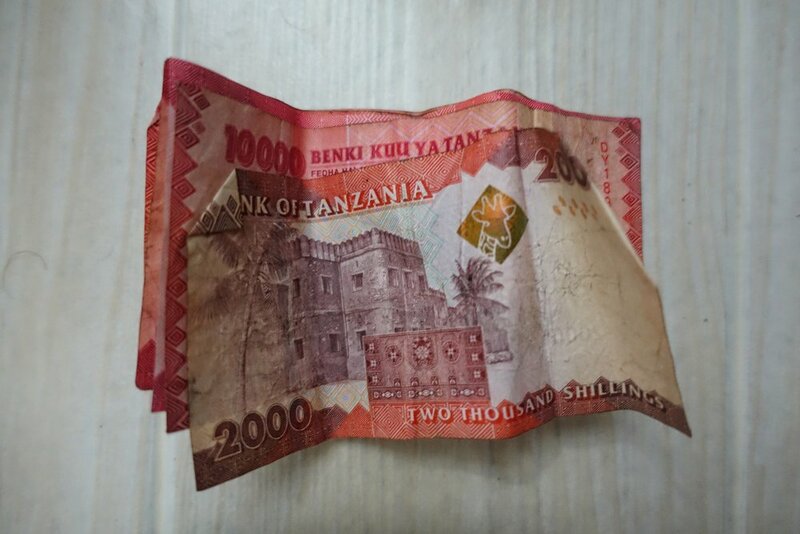 FOLLOWING EXPENSES IN TZS. 4300 food; 12000 lodging; 447600 visas. Campground en route to Mbeya. 1500 food. Hosted in Mbeya. 60400 food; 20000 SIM card and data plan for phone. Hosted in Mbeya. 27500 food. Hosted in Mbeya. 27300 food. Hosted in Mbeya. 35200 food. Free camping en route to Iringa. 7500 food; 1800 fuel. Free camping en route to Iringa. 25500 food. Free camping en route to Iringa. 13100 food. Free camping en route to Iringa. 22000 food; 39600 lodging. Campground en route to Iringa. 18000 food; 39600 lodging. Campground en route to Iringa. 23000 food. Free camping en route to Morogoro. 2000 food; 1000 fuel. Free camping en route to Morogoro. 33000 food; 21500 lodging. Campground in Mikumi. 32000 food; 21500 lodging. Campground in Mikumi. 37800 food; 21500 lodging. Campground in Mikumi. 21500 lodging. Campground in Mikumi. 9000 food. Hosted in Dar es Salaam. 68200 food. Hosted in Dar es Salaam. 42766; 43841 gear and transportation to pick up bike boxes. Hosted in Dar es Salaam. 34000 food; 92000 ferry tickets to Zanzibar. Airbnb in Stone Town (price refunded after some issues). 78600 food; 4400 lodging; 4000 transportation. Hotel in Nungwi (booked with hotel points covering everything but tax). 25000 food; 45000 lodging. Campground in Nungwi. Tanzanian visas were expensive. Just $50 for almost everyone else in the world, Americans pay $100 each, accounting for about a quarter of our total spending this month. Ferry tickets to Zanzibar were also a little pricey for us (at about $20 each for the slow ferry, one-way). That said, fresh produce in Tanzania was dirt cheap, and we ate pretty well throughout the month by cooking most of our meals. We stayed at campgrounds plenty, and were fortunate to have some really wonderful hosts in Mbeya and Dar. Overall, we felt $600 per month (excepting visas) kept us fairly comfortable during our last week in Malawi and our first few weeks in Tanzania. Of course, Tanzania's epic safaris were well out of our budget. Oh, and this month we paid $16 for our Google Music family plan subscription (which gives us offline access to all our music). For our phones we purchased a local SIM. The former expense is not listed above; the latter is. As always, one final thank you to those who showed us such a fantastic time in Malawi and Tanzania this month.